Happy day five aka let’s make Annie’s Pinterest dreams come true day!!! I hopped out of bed because I knew we were going on a tour of a chocolate factory and going on a ferry today. I don't know why either one of those things excited me as much as they did, but I definitely had an extra pep in my step this morning. We found ourselves back in our favorite little neighborhood, Fremont, for the chocolate factory tour, so we stopped in a local coffee shop for breakfast and then walked over to the factory. 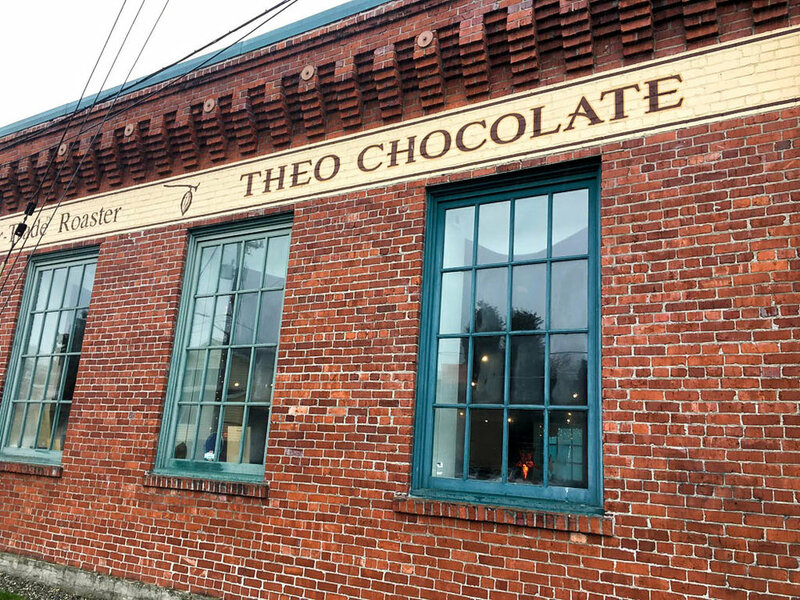 Going on a tour of the Theo Chocolate Factory was something that I had seen early on in my Seattle research and I had been thinking about it since. David isn’t much of a sweets guy, and chocolate is his least favorite, but he was a trooper and agreed to go! The tour was super interesting. The first half took place in a classroom where we learned about the bean buying process and the differences between different types, and then we moved on to the factory floor and confectionary kitchen and got to watch the chocolate being made. We filled up on the samples that they gave us and of course bought our favorites in the retail store on our way out. Up next was the Volunteer Park Conservatory and I was pumped. It was pouring down rain but we were doing it. 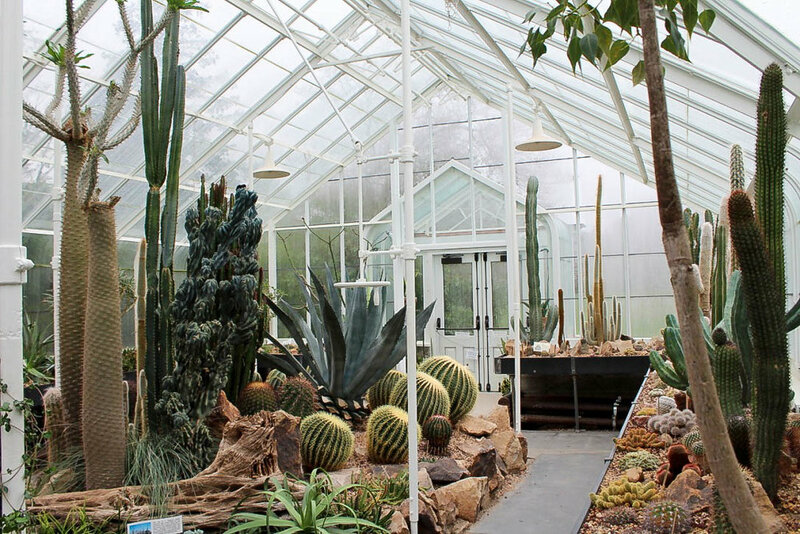 We got to the Conservatory and it was beautiful. 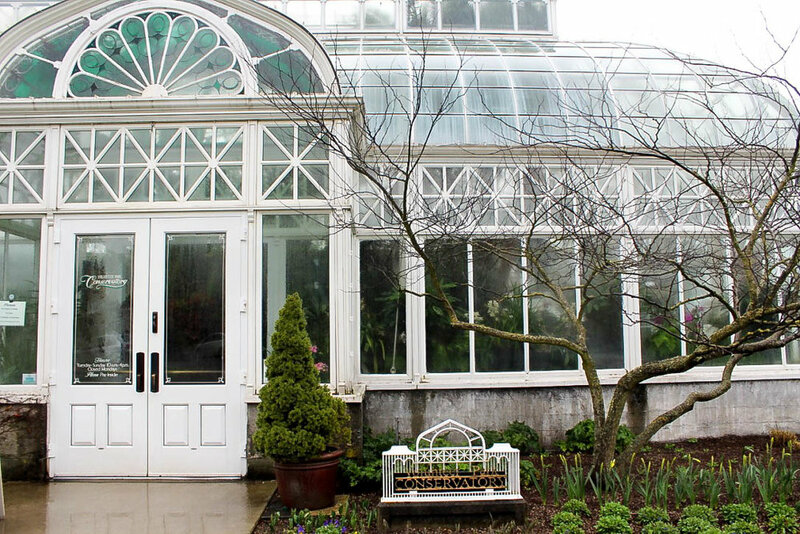 The rainy afternoon made for gorgeous pictures and the Conservatory lived up to the hype. It was raining too hard to go for a walk through the park (David would’ve done it in a heartbeat though), so we went to the park cafe for lunch. Again, I had an incredible sandwich (there is something about Seattle and their sandwiches) and then we were off to downtown to catch the ferry. 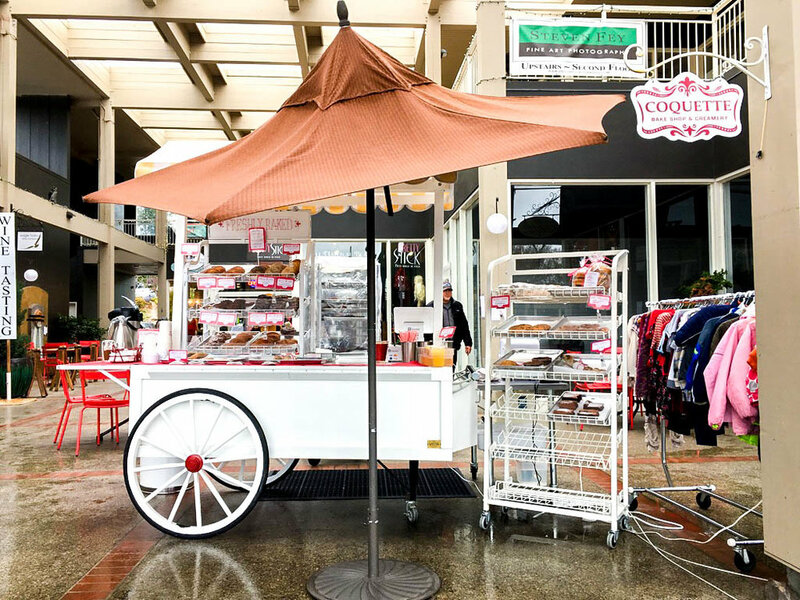 When I was researching things to do, I came across this blogger who went on a morning trip to Bainbridge Island, WA and her pictures looked like they were the same pictures I took while in Greenwich, UK, so I told David this was a must do. We took a 25 minute ferry ride across Elliott Bay and landed in the most peaceful, slow-paced, island town. I had the best mint chocolate chip ice cream at Mora and we wandered around the town, peeking into cute shops and trying to track down a good coffee shop to relax at before heading back to the city. We made it to the pier minutes before it started pouring and waited for the next ferry to arrive. When we got back to the city, we headed to Local 360 for dinner. It was a cross between Scratch and Whisky Cake (for those of you from the Norman/OKC area) and was delicious! I had the mac and cheese with a side of their cheesy grits (healthy, I know) and it was the best choice. David had PB&J bon bons for dessert, which were like fried peanut butter balls, served with jelly and a shot of milk. We took our last peaceful night-time walk through the city back to the hotel. Our walks home at the end of the day quickly became one of my favorite parts of the trip. The evenings always came with clear skies and a peaceful, serene view of the busy city. It was our time to soak up everything that we had done all day long. Tomorrow we leave to head back to Dallas (at 4:00 am) and as much as I’m ready to get back with my sweet puppy and good mexican food, I will miss the adventurous yet laid-back, innovative yet timeless feel of this dynamic city.